Very prominent in Uruguay and to prove it, the Wines of Uruguay set out on The Unique Wines of Uruguay Tasting Tour 2013: "Fifteen of Wines of Uruguay's (WoU) member wineries will pour many of their finest wines in a 3-city, U.S. trade tasting tour in Washington, DC, Austin, and San Francisco. Each winery will pour up to six wines with an emphasis on Tannat." I attended the Washington D.C. session and was immediately impressed with not only the quality of the wine but also the long wine making tradition in that country. Many of the families were immigrants from Spain and Italy, and as usually the case, brought their wine making tradition with them. And with no roadblocks such as Prohibition, many of these wineries have been operating for several generations. Uruguay resides in the same parallels as its neighbors Argentina & Chile, but also South Africa, Australia, and New Zeland. The soils are mostly clay, there's plenty of sunshine, and the vineyards are mostly situated near the Rios de la Plata (across from Beunos Aires) or the Atlantic Ocean - thus cool from coastal breezes. A perfect environment for producing balanced and structures wines. 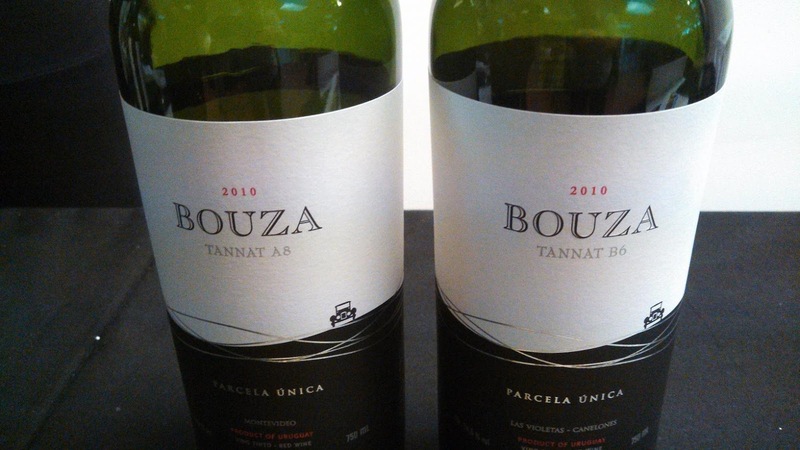 Tannat was introduced into Uruguay in 1870 by Basque immigrants and now represents one third of all wine produced in that country. 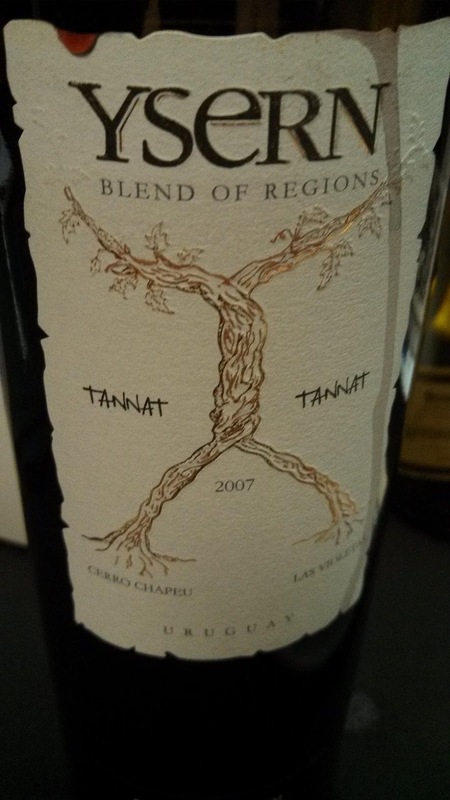 Tannat is normally ages at least one year in oak and sometime blended with Cabernet Sauvignon, Merlot, or Sirah. However, I was not a huge fan of these blends, particularly the Tannat-Merlot blends. It seemed that the Merlot added some fruitiness but took away from the finish, making the tannins even softer which had the result of a a wine falling off the palette. However there were really no complaints of the single varietal Tannats. They were most likely red cherry flavor, with a chewy structure, and nice soft tannings - dripping down the throat. Since alcohol levels are generally low12-14%, there was never a hot finish. There were several that soon became favorites. The Bodegas Carrau Ysern Tannat-Tannat is a blend from two different vineyards - one from the north, the other in the south. The northern vineyard contains more sandy soils leading to structured tannins, whereas the clay soils in the south produce a more rusty wine. Blended together, the wine gains the benefits of each soil type. The Bodega Garzon Reserva Tannat was very similar and I was very fond of the Gimenez Mendez Las Brujas Tannat. Bouza Bodega may have been the most interesting as the representative explained that in one vineyard, the winery stacks red colored rocks along the base of the vines in order to reflect even more sunlight to the grapes. The Tannat A8 wine from this vineyard was slightly smoky, full of dark cherry fruit and smooth tannins. 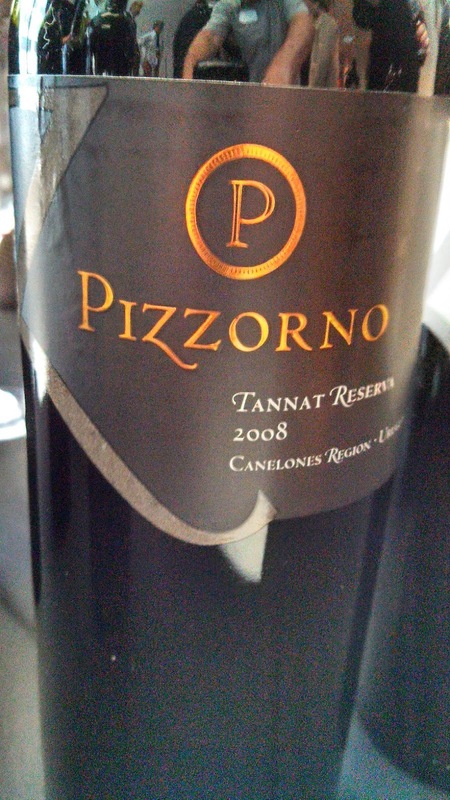 Another smoky wine was the Toscanini Reserva Tannat, who also produced a nice entry level Tannat - the Classic Tannat 2011. 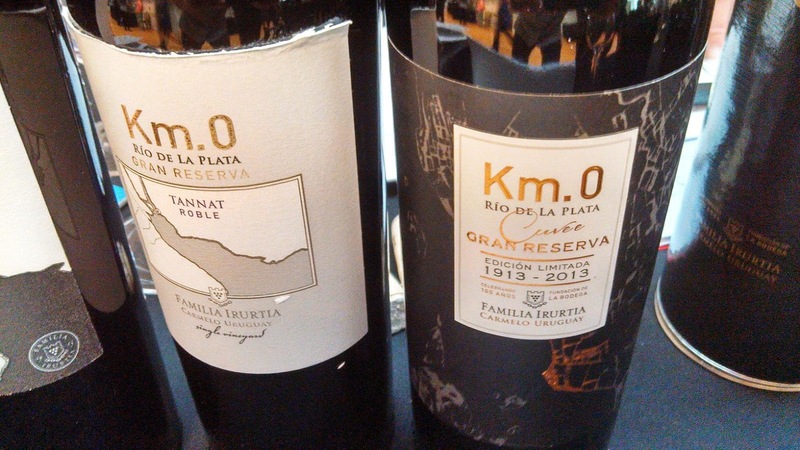 Familia Irurtia's Grand Reserve Tannat was spicier than most, a very agreeable wine; as were the Narbona Tannat Luz de Luna, Traversa Vina Salort Tannat Roble, and Pizzorno Tannat Reserva. As for non-Tannat reds, the most impressive was the Antigua Bodega Stagnari Prima Donna Cabernet Franc. This wine was creamy, chewable cherry balanced with smooth tannins and nice acids. 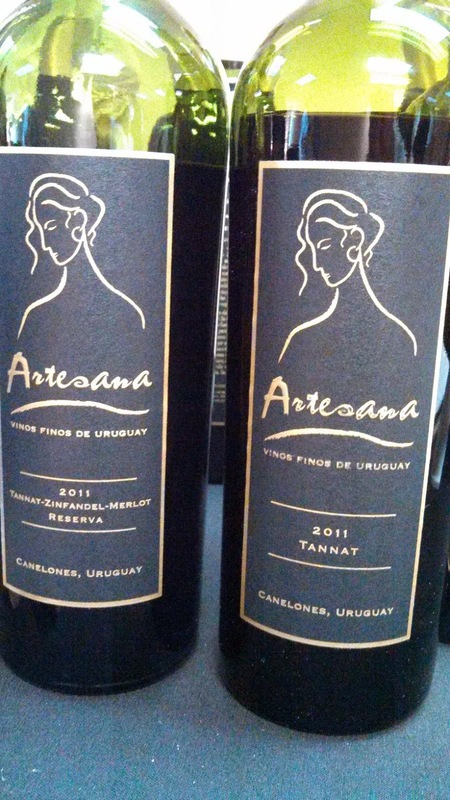 Artesama offers a range of Zinfandel and a tasty Tannat-Zinfandel-Merlot blend. Both display that characteristic spicy flavor that prompted me to put Zinfandel back on the tasting calendar. Finally Gimenez Mendez produces the Alto Reserva Malbec that is similar to the Antigua Bodega Stagnari CF, my notes read chewy cherry smooth tannins, acidic finish - and only 13% alcohol. heritage. 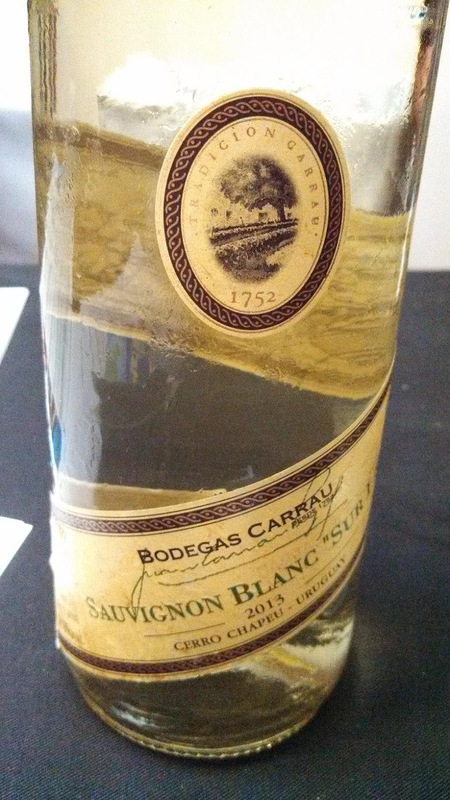 Bodegas Carrau offers a heavy, but refreshing Sauvignon Blanc Sur Lie that oscillates between yeasty and lemongrass. Their Chardonnay is also a little grassy and with nice structure and acidity. The Gimenez Mendez Reserve Sauvignon Blanc was light, lemon sea-grass throughout and completely effervescent. 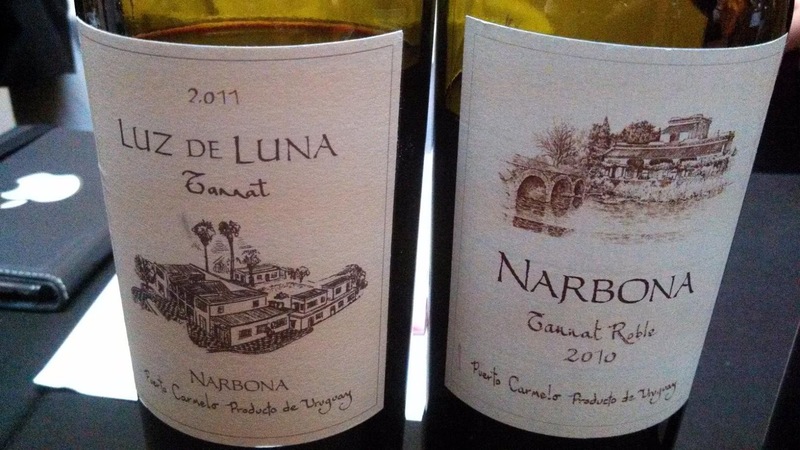 The same can be said for both the Narbona and Toscanini Sauvignon Blancs. All very tasty. 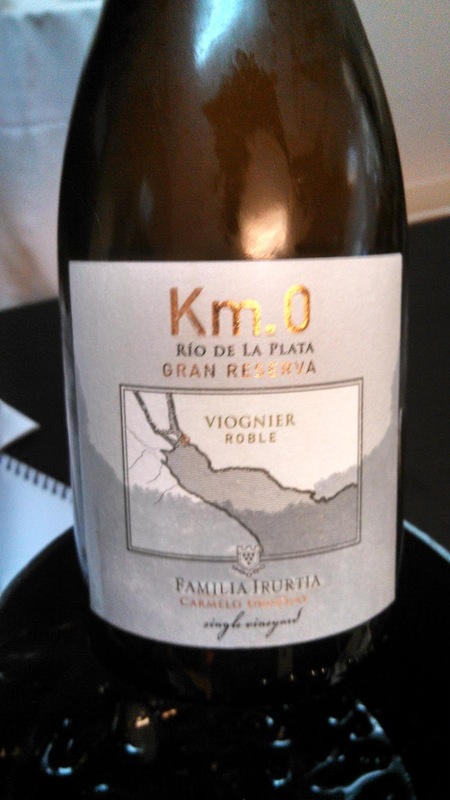 Finally there was the Familia Irurtia Gran Reserva Viognier - with twelve months in oak - a deep buttery wine exuding floral aromas and nice acidity. 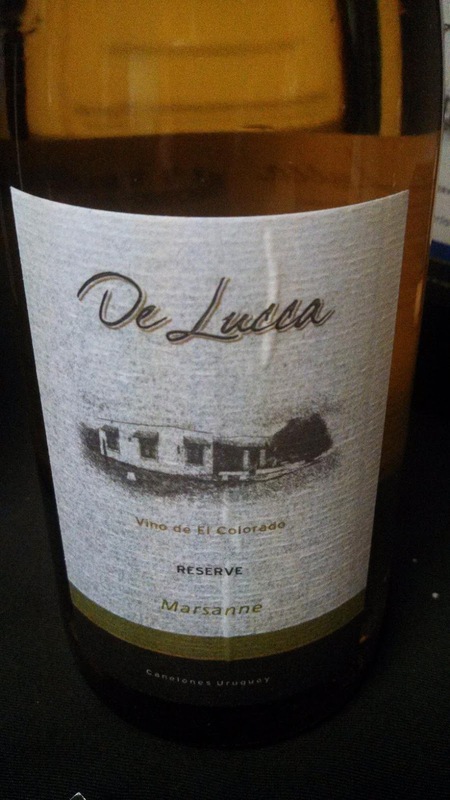 And staying regionally, De Lucca was pouring an excellent Marsanne Reserva. All in all, a successful day or exploring and sampling wine from Uruguay. I have a completely new understanding of the country's wine-making tradition as well as it's vineyard geography. I plan to continuing this learning process. Cheers.